Prints make the world go ’round. 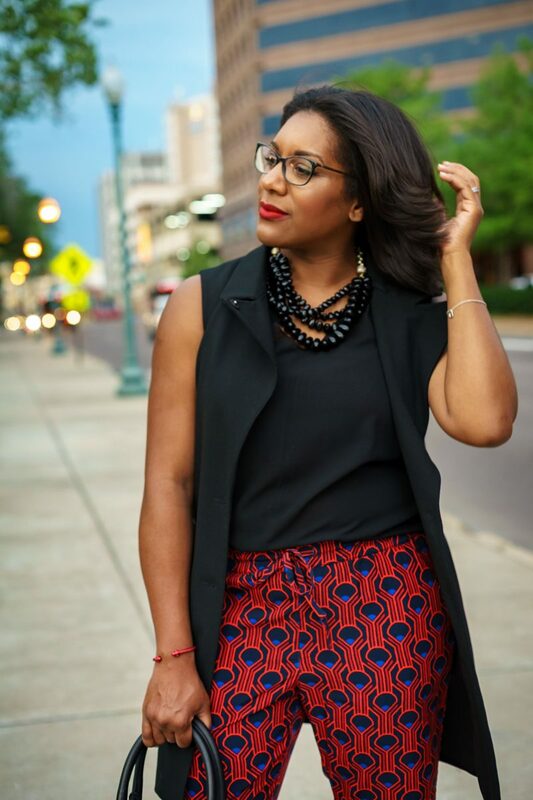 I mean, there’s something really exciting about styling an outfit around a print. At least for me. Think about it! How boring would the world be full of solid colors. It’d be pretty, but just ____. Whether you go bold (think print on print) or basic, a good print brings a lot of wow and interest, even in the the work place. I wore this outfit to the office, but I’ve also worn these pants to professional workshops and meetings. They have gotten tons of attention! I tend to go basic-chic for work, so I stuck with black and a pop of red on the lips. I added the sleeveless vest at the last minute on the way out of the door, and I love how it gave the look some professional polish. 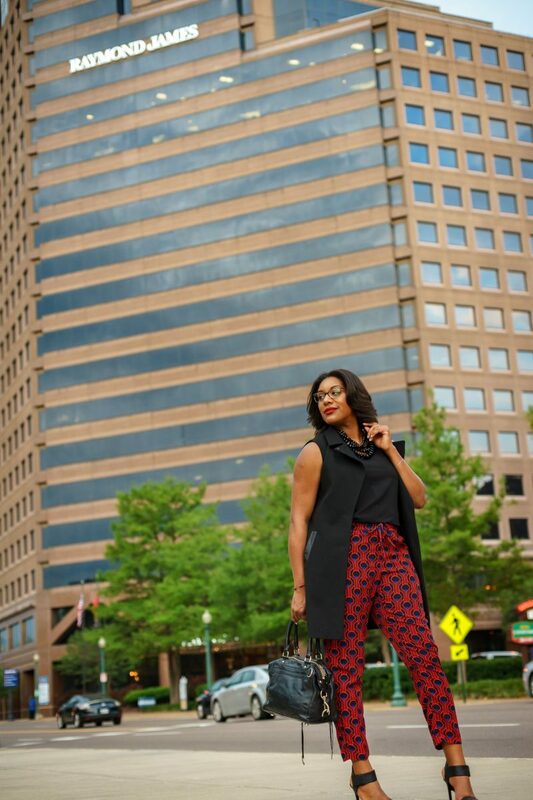 According to Q, regardless how you style printed pants, they will always make a statement! 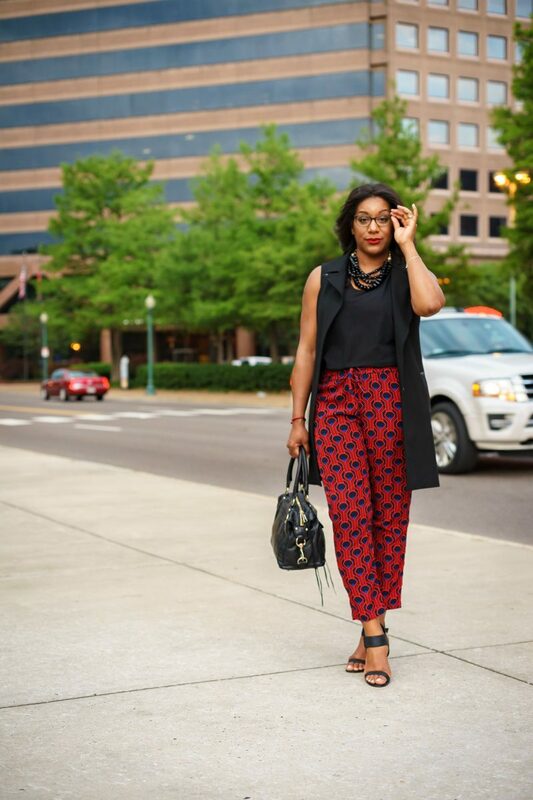 Printed pants are work place approved when styled appropriately and professionally. Choose basics to be sure the pants stand out, and save the bold for after hours. 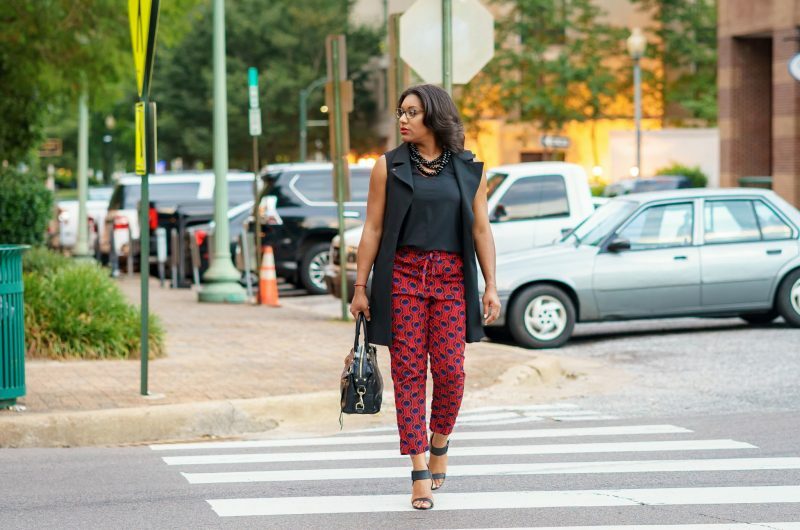 See how I styled these pants boldly HERE. 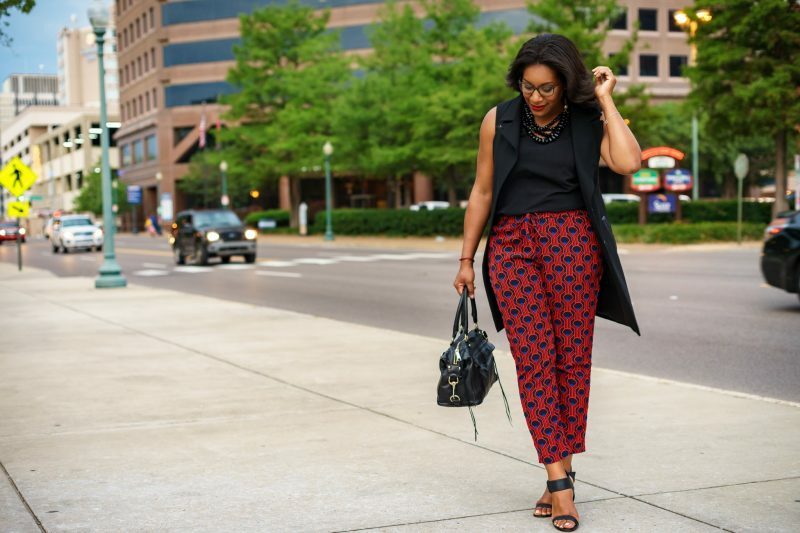 Cheers to workplace style that doesn’t bore!